BANGKOK, Aug. 16, 2018 /PRNewswire/ — TCP Group, the Thai beverage and snacks group that owns, manufactures, and distributes Krating Daeng (Red Bull), Ready, Sponsor, Som Plus, Mansome, and Puriku beverages as well as Sun Snack snacks, today, announced that it has embedded far-reaching sustainability goals into its five-year business plan. The goals extend from a commitment to integrity in all its business activities, through to a commitment to quality in its products and the workplace, as well as a commitment to sustainable environmental practices and community relations. “We have, today, taken an important first step into becoming a most admired company by making the fulfilment of sustainability goals an integral and inseparable part of our company’s overall goals. Those goals are grouped under three main pillars — Integrity, Quality and Harmony — and are consistent with the United Nations’ sustainability guidelines,” he said. He said TCP Group would work in partnership with other stakeholders in any area that can enhance the fulfilment of its sustainability goals, including NGOs, local communities, and government agencies. “Integrity is the first of our three pillars on which we have built our sustainability goals,” said Mr. Yoovidhya. “It’s about how we behave both internally and externally, and includes operational guidelines that ensure good corporate governance as well as fair procurement practices, and the promotion of sustainability in the supply chain,” he said. 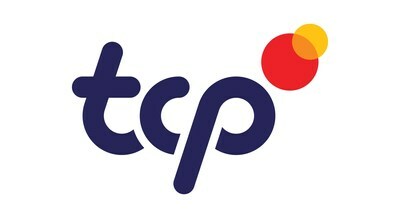 According to Mr. Yoovidhya, TCP Group will encourage all its stakeholders, from suppliers to employees and its own board to directors, to adopt sustainable practices across the entire spectrum of its activities, from acquiring raw materials from socially responsible sources to ensuring that TCP products are properly delivered to consumers. He said that ‘quality’ was another pillar around which the company had formulated its sustainability goals. “We have already begun several programmes to improve the quality of life in the workplace, so that our employees find greater fulfilment and pleasure in their daily work activities. We believe it is the primary foundation for an organisation’s ability to deliver great products and great results,” Mr. Yoovidhya said. He said that the company would also promote greater quality in the lifestyles of consumers by investing in programmes to create awareness about wellness and healthy nutrition while ensuring that quality is always embedded into the nutritional value of all TCP products. “Harmony is the third of our sustainability pillars, and its focus is on ensuring that everything we do as a company is ‘in harmony’ with the environment as well as the communities in which we operate,” Mr. Yoovidhya said. “We not only wish to preserve and protect the environment and communities, but to be proactive in helping them to flourish,” he said. TCP Group announced that it would maximise the efficiency of its use of natural resources, such as water, and that it would also support local communities by creating jobs and giving precedence to the use of local raw materials. “Our sustainability goals are real and actionable, because we see them as integral to our business development,” Mr. Yoovidhya said.